If you have any questions or want to enquire about dates, use our form to contact Gary & Suzie or see their website for more information. In 18 lovely hectares of woodland and meadows, you’ll discover a pair of charming and extremely comfortable houses. Set either side of a courtyard, this one is the old farmhouse, the other its barn. Both have acres of space, each with its own private garden and fenced pool. La Châtaigne is beautifully proportioned and full of character with creaky old staircases, twisted beams and bright white walls. The attractive sitting/dining room has fireplaces at either end and russet floor tiles; the kitchen is super, modern and well-equipped, with a breakfast area overlooking the pool. A double bedroom on the ground floor (with its own shower room) opens on to the terrace; three more (a twin and a double with a small bunk-bedded room off; all wonderfully colourful) are on the first floor while under the eaves is a vast and delightful family suite – but mind your head in the bathroom! Set well away from both houses: a communal play area and a covered barn with table tennis. There’s also an outdoor summer kitchen – a brilliant touch – and your lovely hosts, Gary and Suzie, will spoil you with baking session treats during your stay. 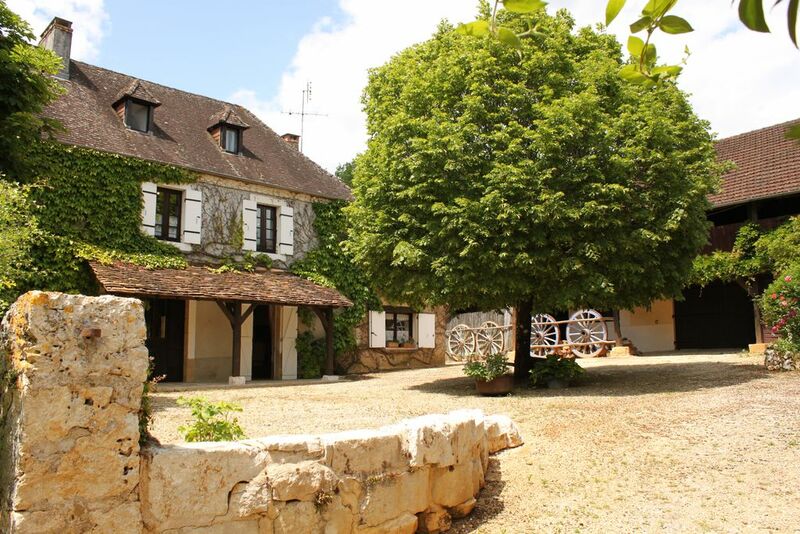 Special offer: Dreaming of early Summer in the Dordogne? We are offering a 10% discount on remaining weeks between 15 June & 7 July and further discounts for under-occupancy. Email suzie@Les-Taloches.com to enquire. There were sixteen in our family party so we rented both houses to celebrate various birthdays and to have an enjoyable holiday together. Les Taloches was even better than expected and both houses equipped with everything anyone is likely to need. Suzie and Gary could not be better hosts. They are very professional, kind, attentive and helpful but also unintrusive so that both properties and the surrounding area were enjoyed to the full whilst knowing that they were on hand to suggest places to visit and even make bookings for us on occasion. We could not have had a better holiday!! Our 6th visit. We loved Les Taloches when it was owned by Jo and John. Suzi and Gary have done the impossible and made it even better. La Grange is beautiful and well equipped and Suzi and Gary are great hosts ( and Suzi makes a mean lemon drizzle cake). A fantastic, homely property with plenty of space in a beautiful location. We had a wonderful time and were very well looked after by Gary and Suzie. We loved it so much we've booked another holiday there! Great house, great location, great hosts. I stayed at Les Taloches with my wife and 2 kids, my parents and my sister and brother-in-law and their 2 kids. There was plenty of room for the 10 of us with great bedrooms and bathrooms. There was a large kitchen and lounge and dining room with plenty of space for us all. The highlight was the lovely pool. Apart from getting supplies there was no need to leave, it is such a lovely housel. There is also plenty for young children with an outdoor play ground and under cover play area. Lastly. Jo and John Sturges were wonderful hosts. We spent a family holiday(6 adults and 3 children) at la Chataigne in June and it far exceeded our expectations. Jo and John were very helpful especially with their local knowledge. They also cooked an excellent meal for us as part of a family celebration. The children (aged 4, 2 and 2) loved the swimming pool, the play area and the walks in the woods. There was much to do in the locality and we enjoyed the plan d'eau at Rouffiac. We highly recommend this property for families. Myself, my wife and her sisters had a big family party at La Chataigne for my parents' wedding anniversary. It was a marvellous stay as we all fitted in comfortably. The kitchen was well equipped for all the catering and the children were occupied from dawn to bedtime. It was hard to drag them away from the swimming pool and the outdoor toys but there was lots to do and see nearby. We are looking forward to returning soon. 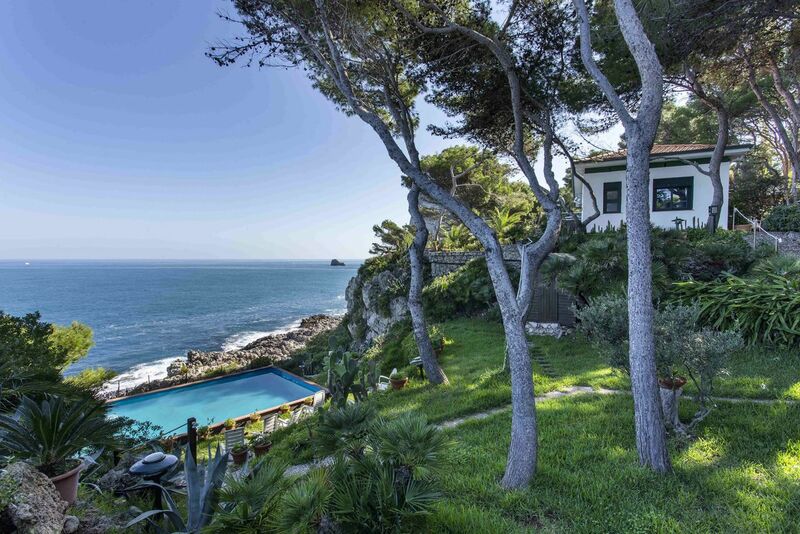 Gorgeous terraces with BBQ's overlook each private pool and garden - perfect location for a relaxing sundowner! Beautiful countryside with miles of forest tracks for walking, cycling or riding just outside your door. Canoe our river, the Auvézère, where you may see a kingfisher or otter in the leafy banks. No hidden extras, prices include bedlinen and towels, electricity and free WiFi. Welcome hamper (includes eggs from our own hens) + bottle of local wine provided. Eco friendly cleaning products and larder essentials provided. There's lots to do at Les Taloches with 19 acres to explore, a big playground with swings, badminton and a giant sandpit; a big games room and bicycles to borrow too! We can also help with touring, mountain, electric, tandem bike rental, delivered direct. In the village (10 minutes walk) there is a bar/bistro on the river, a restaurant, a traditional baker, a grocery shop, a 1000-year-old abbey, some fascinating caves - La Grotte de Tourtoirac - and a lovely river to paddle in. Explore the historic cities of Perigueux and Sarlat or Montignac with its famous Lascaux pre-historic art paintings. All the sites of the Dordogne and the Correze are within easy reach. Further afield is Parc Zoo du Reynou with 600 animals in 100 hectares.